The cougar is one of the most beautiful, enigmatic, and majestic animals in the Americas. Eliciting reverence for its grace and independent nature, it also triggers fear when it comes into contact with people, pets, and livestock or competes for hunters’ game. Mystery, myth, and misunderstanding surround this remarkable creature. The cougar’s range once extended from northern Canada to the tip of South America, and from the Pacific to the Atlantic, making it the most widespread animal in the western hemisphere. But overhunting and loss of habitat vastly reduced cougar numbers by the early twentieth century across much of its historical range, and today the cougar faces numerous threats as burgeoning human development encroaches on its remaining habitat. When Maurice Hornocker began the first long-term study of cougars in the Idaho wilderness in 1964, little was known about this large cat. Its secretive nature and rarity in the landscape made it difficult to study. But his groundbreaking research yielded major insights and was the prelude to further research on this controversial species. The capstone to Hornocker’s long career studying big cats, Cougar is a powerful and practical resource for scientists, conservationists, and anyone with an interest in large carnivores. 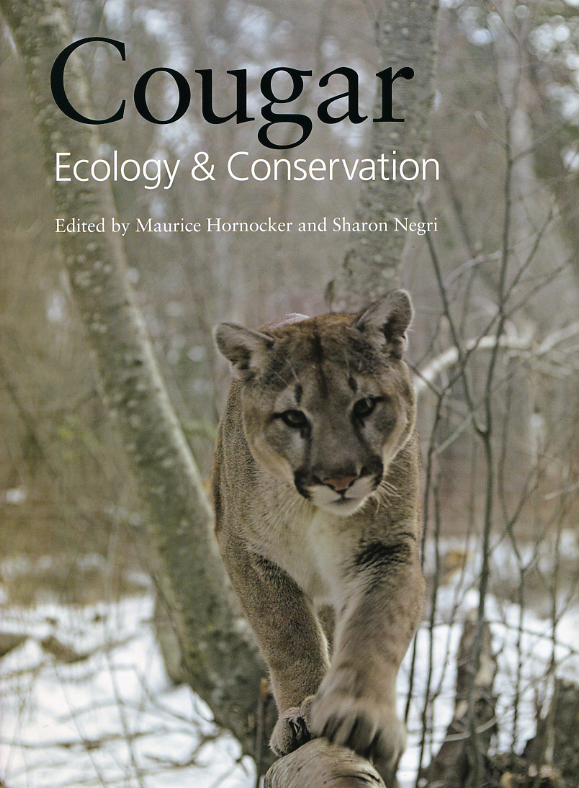 He and conservationist Sharon Negri bring together the diverse perspectives of twenty-two distinguished scientists to provide the fullest account of the cougar’s ecology, behavior, and genetics, its role as a top predator, and its conservation needs. This compilation of recent findings, stunning photographs, and firsthand accounts of field research unravels the mysteries of this magnificent animal and emphasizes its importance in healthy ecosystem processes and in our lives.